This is the old label used by the brand for many years. The premium Russell’s Reserve lineup offers bourbon and rye whiskies in both small batch and single barrel form. In the case of the bourbon, the small batch is aged for ten years. This single barrel release offers no age statement. Where I found the small batch full of flavor and character, it didn’t have the “bite” I expect from Wild Turkey. That’s due to it’s 90 proof bottling. 90 proof isn’t a low proof per se, but when compared to WT 101, it’s low. Russell’s Reserve Single Barrel more than makes up for that, giving us a hearty 110 proof bourbon. Also of note is there is no chill filtering happening here, which allows for a slightly richer flavor. I love single barrel offerings. They give you the whiskey with no bull. There is no blending going on here (not that blending is a bad thing). All we have to judge this whiskey is this single barrel. Every now and then, a barrel falls flat. But for the most part, single barrel whiskies are more interesting than standard blends. 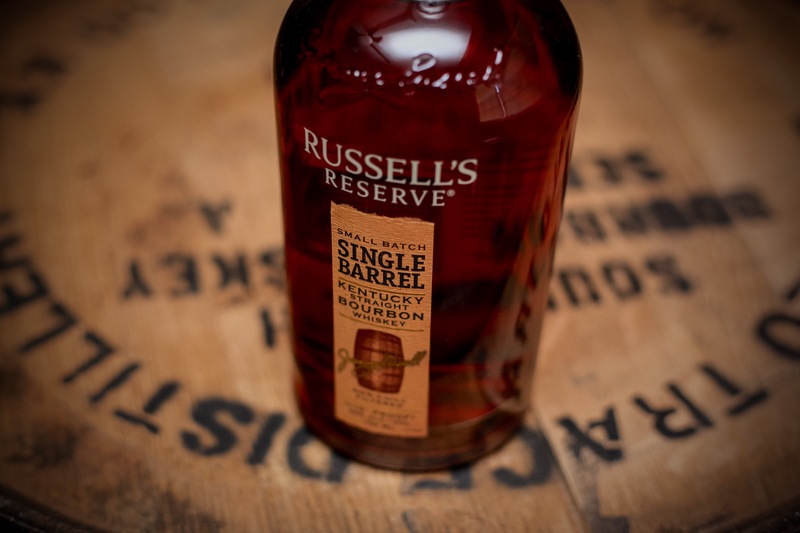 The decision to bottle Russell’s Reserve Single Barrel bourbon at 110 proof is a great one. This one has robust aromas bursting out of the glass. Vanilla bean, anise, plums, sweet corn, and some spicy cinnamon rise out of the glass in a concentrated burst. This bourbon is bold. Flavors of dark brown sugar, dried figs, vanilla creme brûlée, and toasted rye spice fill the palate. A very long, warm finish leaves behind some spiced caramel. This stuff’s fantastic. I like it as much as the 10-year-old Russell’s Reserve, but for different reasons. I love the boldness of this single barrel release. I think this one carries its flavors and essence better, while the flavors in the 10-year-old are more intricate and complex. You really can’t go wrong with either whiskey. They’re both highly recommended. One of my favorite pours. I can see why. It’s a well made, flavorful bourbon.